Master Saleem cops Radio Road March title…again! 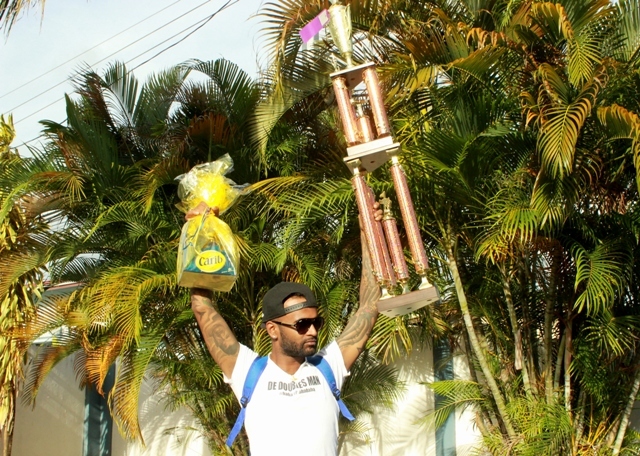 For a third consecutive year Master Saleem Beharry has won the 103FM Radio Road March Title. He won the title for the 1st time back in 2017 with the song ‘Back Ah Siparia’, then again in 2018 with ‘Ah Shameless’ and completed the hat-trick this year with his popular hit ‘De Doubles Man’. Saleem won the annual competition with 31.4% of the total online votes which ran from February and concluded on Ash Wednesday. In addition to the 103FM & Carib Beer Trophy courtesy Caribbean Awards & School Supplies, Saleem also walked away with a $3000 voucher worth of air-time at 103FM, a recording contract with BMRZ Empire Studio and hampers courtesy Carib Beer and 103FM. However Saleem indicated once again that he will be passing on the recording contract to a young upcoming artiste via his own competition he will be holding on his social media page. ‘De Doubles Man’ was also a regular part of 103FM’s Carnival Shakes this year – an entertainment packed schedule which took place at various points throughout the country in the leadup to Carnival. 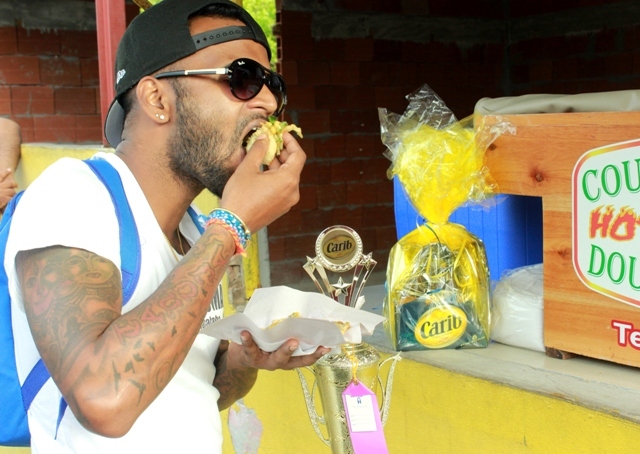 The most recent Carnival Shake was held at Appoo’s Hot Spot in Freeport where Master Saleem was among a lineup of artistes performing on the White Oak music truck on Carnival Friday.